2018 has seen a significant shift in the positioning of North Korean (DPRK) leader Kim Jong-un. Once known for touting his country’s military prowess, Kim is seemingly moving away from his previous national priorities, choosing instead to dedicate time and publicity efforts to his country’s economy. However, with the United States and other international leaders unwilling to lift sanctions on the struggling nation, Kim has set his sights on improving critical North Korean infrastructure. This twofold strategy may begin to alleviate the country’s economic issues while signalling to the international community Kim’s willingness to reform and negotiate. Crippled by years of isolationist policies and repressive sanctions, North Korea is not in a position to help itself without assistance. 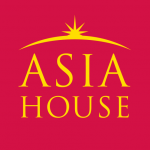 Instead, the DPRK is likely to look to its neighbour to the north – China (PRC) – for help with matters relating to infrastructure development and improvement, especially as the PRC seeks to increase its international presence through infrastructure-building initiatives such as the ‘One Belt, One Road’ (OBOR; 一带一路) initiative. Earlier this year, Kim Jong-un announced his plans to suspend nuclear testing and concentrate all efforts on domestic economic development. But the question still remains as to what shape these economic reforms will take, and whether Kim Jong-un, known for his unpredictability, will follow through with this announcement. One school of thought points to China’s state-controlled market economic model first championed by Deng Xiaoping in 1978, referred to as the ‘Reform and Opening Up’ period. Chinese observers have recently drawn parallels between the current political and economic climate in North Korea and that of China in 1978, a country struggling to bounce back after suffering through Mao Zedong’s Great Leap Forward and the Cultural Revolution. Similarly to Kim Jong-un’s desire to keep his regime afloat, Chinese leaders such as Deng Xiaoping and Hua Guofeng sought to keep the Communist Party of China (CPC) in power; however, Deng understood that this would not be possible if China did not reform and remained shut off from the rest of the world. In today’s climate, observers of North Korea in China believe that the DPRK is at a similar crossroads, although arguably in the ‘pre-production’ (酝酿过程) phase of these reforms. There are still significant steps that the North Korean leadership must take in order to begin to move towards what the Chinese refer to as ‘comprehensive reform and opening up’. Since China has already lived through this experience, Chinese voices on this subject argue that North Korea should look to China for leadership and guidance, a practice that Kim Jong-un has undertaken twice in 2018 through visits with Chinese President Xi Jinping in March and May. Despite the often contentious situation on the Korean Peninsula since the 1990s, China has continued to pursue efforts to modernise and bolster the North Korean economy, most likely in order to prevent any crisis along its border. Among the potential tools used to push North Korea towards an ‘opening up’, the PRC has utilised special economic zones (SEZs) to encourage economic reform and cross-border collaboration while capitalising on North Korea’s low labour costs for China’s own benefit. A notable example of this practice is the Rason (or Rajin) Special Economic Zone (罗津经济特区), established in 1992 with help from the Chinese and Russian governments. Located strategically along the Tumen River at the trilateral border between North Korea, China and Russia, the project was initially conceptualised as a means to bring foreign direct investment (FDI) into North Korea along with manufacturing, trade and other services. The plan also envisioned the transformation of the Rason port city into a transportation hub for Northeast Asia. Although developments since the mid-1990s have included the Mangyongbong passenger ferry and cargo service between Russia and North Korea as well as the 54-kilometre rail link between Rason and Vladivostok, the SEZ project saw very little activity for over a decade. It was not until recently that the Rason SEZ once again received attention from the Chinese leadership. China’s Yanbian Autonomous Region, an ethnically-Korean prefecture located on the Sino-North Korea border, obtained a 10-year lease over the Rason (Rajin) Port in 2010 in order to further a supplementary initiative known as the Changjitu Development and Opening Pilot Zone (长吉图开发开放先导区). This project, aimed at developing China’s Changchun-Jilin-Tumen River area, is just one part of China’s goal of revitalising the economy in its northeastern region. Through ownership of the Rason port in conjunction with a continued dedication to bolstering the Rason SEZ, China may hope to gain a logistical advantage over trade throughout the Sea of Japan. For North Korea, improved development of the Rason SEZ may allow Kim Jong-un to begin to experiment with economic reforms in a controlled, contained environment. Looking ahead: One Belt, One Road in North Korea? As one of the cornerstone aspects of China’s OBOR initiative, Chinese-led SEZ development around the world has increased substantially since the initiative was announced in 2013. As the North Korean leadership has begun to express an interest in shifting its priorities to economics, China has begun to re-apply this SEZ framework to North Korea under its OBOR umbrella. In August 2018 the Liaoning Provincial Government announced the Liaoning ‘Belt and Road’ Pilot Complex Area Programme in Dandong. The city of Dandong, located directly across the Yalu River from the North Korean city of Sinuiju, has for decades sat at the forefront of Sino-North Korean economic policy discussions thanks to its role as the primary trade passage between the two countries. This new plan, emphasised under the PRC government’s OBOR initiative, seeks to establish Dandong as a leading player in Sino-North Korean trade and cooperation. 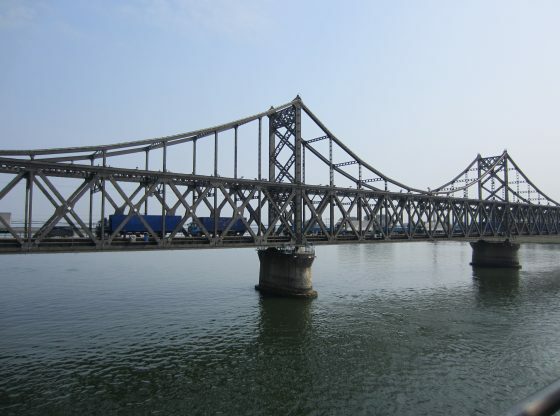 It discusses the potential for the development of a Dandong-Pyongyang-Seoul-Busan Railway, a highway through the Korean Peninsula, and a number of Dandong-DPRK-focused SEZs. If Kim Jong-un is truly serious about bringing about economic relief in North Korea, then collaboration with the PRC on SEZ development, infrastructure-building and trade agreements is a promising first step towards Chinese-style reform and opening up. Emily S. Weinstein is a Research Analyst at Pointe Bello. Image Credit: CC by duggadugdug/Flickr.